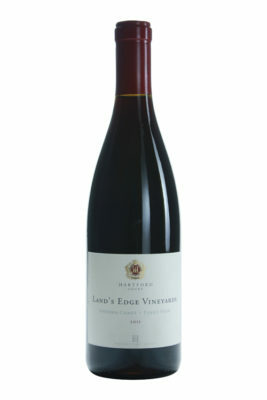 The only 2014 tasted was the early-bottled 2014 Pinot Noir Land’s Edge Vineyards, which come from a vineyard four miles from the Pacific Ocean. Aged in 32% new French oak, the wine displays raspberry and blueberry fruit, damp earth, fresh porcini mushrooms and plenty of minerality. This is a juicy, tightly knit, but concentrated and promising Pinot Noir that has that forward fruit of this vintage well displayed. Drink: 2015-2023.